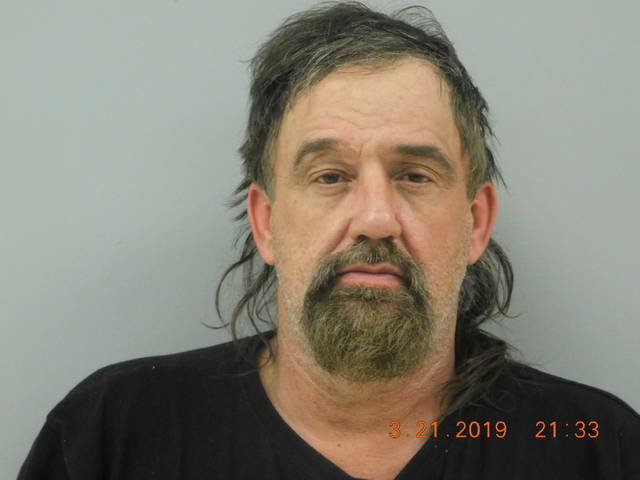 WEST ELKTON — A Preble County man was arrested earlier this month after a traffic stop led to the discovering of methamphetamine. According to Preble County Sheriff Mike Simpson, on Thursday, March 21, deputies initiated a traffic stop on a vehicle for a traffic offense, at Maple Street and Main Street in the Village of West Elkton. During contact with the deputy, the driver admitted being in possession of methamphetamine. Deputies recovered approximately 15 grams of suspected methamphetamine from the driver. After being placed under arrest for the drug possession, the driver gave consent to deputies to search his residence, located on Quaker Trace Road. Deputies recovered an additional gram of suspected methamphetamine, digital scales, and baggies. Simpson reported, deputies also located four firearms inside the residence. The driver was currently under felony indictment in Butler County for drug violations and cannot possess firearms while under indictment. Deputies have received information that methamphetamine was being distributed from the suspect’s residence. The suspect, Ronald C. Howard, 53, of the 8000 block of Quaker Trace Road, was arrested and transported to the Preble County Jail. On Friday, March 22, Howard was formally charged in Eaton Municipal Court with the aggravated possession of drugs, a second-degree felony; illegal use or possession of drug paraphernalia, a fourth-degree misdemeanor. Additional charges are expected related to the firearm possession. Howard has posted bond in this case and was released from custody, according to Simpson.